It’s tough to rank the AFC and NFC Championship games this weekend, as both of them are great match-ups and have great storylines behind them. With that being said though, the rematch from last year between the Baltimore Ravens and the New England Patriots in the AFC Championship game is definitely one excellent story. Not only are were we not expecting the Ravens to be in this game, some actually picked the young Indianapolis Colts to upset them in the wild card round, due to the fact that the Ravens have suffered quite a few injuries on the defensive side of the ball. Ray Lewis came out with an announcement that he was retiring after this season, and after that point this team has looked motivated to win. The Patriots are elite though, and I mean that. This team can point points on the board quickly and in so many different ways. Seeing Ray Lewis against Tom Brady is a lot of fun, but seeing it in the AFC Championship game is even more entertaining. Kickoff for this game is Sunday at 6:30pm EST in New England. The Ravens offense has been big, and Joe Flacco is making some seriously huge throws. Can’t give all of the credit just to Flacco though, as it has been a combination of Torrey Smith and Anquan Boldin stepping up and making plays down field for Flacco. Obviously we have to credit Ray Rice as well, as he is one of the best running backs in the NFL and is just incredibly consistent. All of the offense in the world won’t matter much though unless this Ravens defense can get after Tom Brady and make his life tough, which no one has really shown that they can do very often this season. The Patriots passing game with Aaron Hernandez, Wes Welker, Brandon Lloyd, and pretty much anyone else you put on the field is ridiculously good. Tom Brady makes everyone better, and even though they lost Rob Gronkowski for the rest of the season to an injury, I’m sure we’ll see Brady just move the ball around even more. The real question for the Patriots has been their pass defense, and they’ll need to shut down Joe Flacco and contain Ray Rice to hold off the surging Ravens in New England on Sunday. Expect the passing game to keep going after the Ravens secondary throughout the game this weekend. The way that the Baltimore Ravens have played lately really makes you want this Cinderella story to continue to roll along, but unfortunately they may have ran into a battle that they can’t win. The Ravens have the talent, but with the injuries to their secondary going into New England and stopping Tom Brady is going to be a tough task for them. I do think that this game is going to be much closer than some people think, and I see it being around a one touchdown win for the Patriots. With that being said I’m going to roll with the Baltimore Ravens in a close bet, and take them with the +8 on the road. Big time games kick off this weekend in the NFL, as we have BOTH the AFC and NFC Championship games on Sunday. We have to take a look at both of them, but we’ll start with the NFC that features two offenses that have recently shown that they can put some serious points on the board. 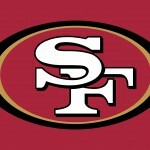 This is the San Francisco 49ers, who are the second seed in the NFC, against the top seed in the Atlanta Falcons. There are some great match-ups to watch for in this one, but obviously one that catches my attention is the duel that we’ll have between quarterbacks, as Colin Kaepernick put up 181 rushing yards last week and has one heck of an arm, and Matt Ryan has led a great Falcons’ passing game so far this season. It’ll be a fun one, and kick off is set for 3:00pm EST on Sunday. The Niners’ offense is just a completely different look and feel since Kaepernick took over for Alex Smith. He runs pretty much whenever he wants, but has shown the ability to hit open receivers consistently as well. I love the way this offense looks and it’s helped Frank Gore put up some big games as well. The 49ers defense is going to have a tough task though on Sunday as they are going to be up against this offense with Roddy White, Julio Jones, Tony Gonzalez, and Jacquizz Rodgers, who can all make plays in the passing game. The Falcons on the other side are going to air it out, and they are going to do it often. I don’t think there’s much hiding that, and even though Michael Turner and Jacquizz Rodgers are going to get some love in the running game, it’s going to be passing game vs. passing game in my opinion. Expect Atlanta to be able to put some points on the board, but to struggle a bit against that 49ers offense that has the ability to both run and pass the ball very well this season. I love the NFC and AFC Championship games, but they can be tough calls in terms of betting. While the Falcons are the home team in this one, I think that they’ll get a bit of momentum out of the gate and probably use the crowd to take advantage of that home field advantage. I do NOT think that this will translate into a win though, as the 49ers offense can simply hit you from too many ways, and just has too many weapons right now. I’m going to go with the 49ers to get the win, but it’ll be in a close one and it will probably come late in the fourth quarter from a drive resulting in a big field goal. With that that being said though, I’m still going with the Atlanta Falcons to be able to cover the +4 on Sunday. The AFC teams squaring off on Saturday afternoon are the Baltimore Ravens and the Denver Broncos. The Baltimore Ravens are the 4th seed in the AFC, while Denver came away with the best record in all of the AFC. The Ravens won the AFC East with their 10-6 record. Baltimore struggled down the stretch, but was able to come away with a win over the Indianapolis Colts. The Broncos did not play in the first round of the postseason. The last time Denver lost a game was on October 7th to the Denver Broncos. The Baltimore Ravens have a little bit of a feel good story, with Ray Lewis playing in his final season. The Ravens used that motivation in their final home game last week. Now, can the Ravens use it to upset a tough Denver team. The Ravens quarterback has been Joe Flacco for quite some time now. Flacco went 2012, and threw for 3,800 yards and 22 touchdowns. Ray Rice, the running back and Torrey Smith, the Ravens top receivers are the main threats in the offense. Baltimore ranked 15th in passing the football, and 11th running it. The Ravens lost four of their final five regular season games. The Denver Broncos would love nothing more than to help give Peyton Manning his second Super Bowl title. This is coming after a season where Manning did not play. Manning has thrown for over 4,600 yards and 37 touchdowns. His top recievers; both Demaryius Thomas and Eric Decker combined for 2,500 yards and 23 touchdowns. Denver has been great defensively as well. This is virtually the same Denver team that won a postseason game last year, against the Steelers, on the defensive side of the ball. This should be an interesting bout. This game is expected to be the furthest point spread of all the games this weekend. Not many are giving Baltimore much of a chance in this one. The Broncos can be slowed down if a team takes care of the ball, and limits mistakes. Baltimore will try to do that, but they have too many major injuries to be taken serious to beat the Denver machine. We like the Broncos to win this game going away. The Denver Broncos are nearly a double digit favorite in this game. The Broncos are favored by 9. We like Denver to cover that spread. Manning does not quit, and the Broncos will continue to score regardless of the score. Baltimore has too many question marks defensively to keep up with Denver.